The story of Winnipeg’s postal buildings closely parallels the continuous improvement of postal services from the slow weekly hauls by dog sled or pony express to the automated air postage of today. Naturally it also parallels the growth of Winnipeg from small village to large urban area. On February 28, 1855 the Council of Assiniboia, the governing body of Red River, appointed William Ross as postmaster and recommended that a regular mail service be established between Red River and the outside world. Ross opened his own house as the first post office in the northwest. This roughly hewn cabin of squared log construction was located at what is now the foot of Market Avenue. It was moved in 1949 to become a museum on its present site in the Sir William Whyte Park, opposite the Canadian Pacific Railway station. Since stamps and cancelling devices were unavailable, the early mail posted at Ross House bore only the postmaster’s penned notation, “Red River, B.N.A.” (British North America). Mail was carried by horse back or dog sled to Pembina on the American border where it was stamped “Paid 10” and thence forwarded to its destination. The rate on a letter from Red River to Pembina or vise versa was one penny and the American postage rate from Pembina to the Province of Canada (modern southern Ontario and Quebec) was ten cents (American). 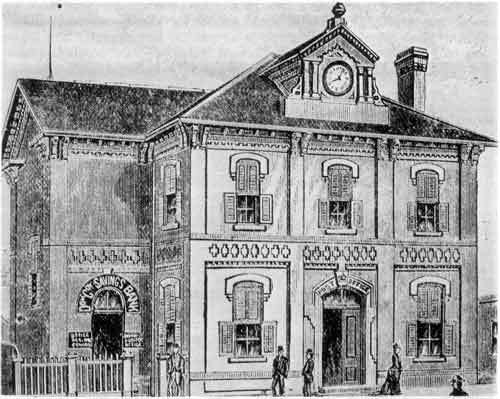 In 1871, now under the jurisdiction of the Canadian Federal Government, the post office was moved to new quarters in a room twelve by four-teen feet in the Commercial Hotel building on Lombard Avenue immediately east of the McArthur Block. A. G. B. Bannatyne served as postmaster in the log clap-boarded building until 1874 when he was succeeded by John McDougall. 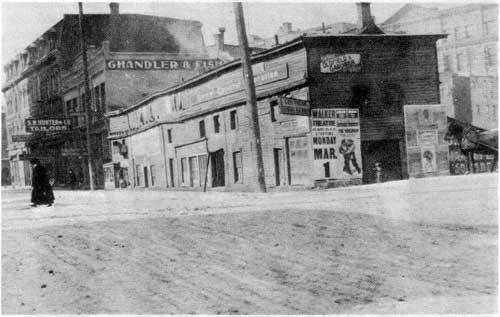 As space in this building proved to be insufficient to the growing wants of Winnipeg a new building was erected in 1876 at the corner of Owen (McDermot) and Main streets to house Winnipeg’s third post office and the Dominion Government Savings Bank. This handsome square brick building fully met the needs of the time. In 1877 William Hargrave assumed the office of postmaster, a position he held for many years. 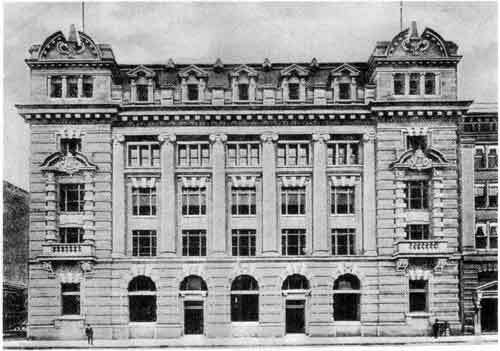 The post office moved from its quarters at Main and Owen in 1883 to allow for the construction of a new larger building on the same site to house postal and other government offices in the rapidly developing city. 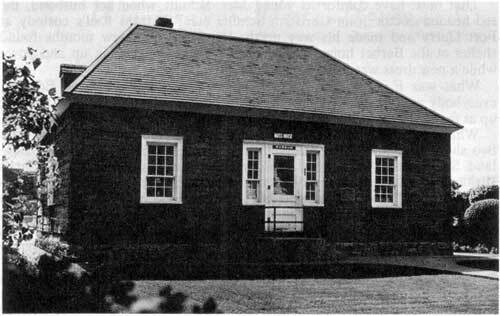 It was temporarily located near Main Street and York Avenue north of the old Hudson’s Bay store until 1886 when the new Post Office and Federal Customs Building was completed. 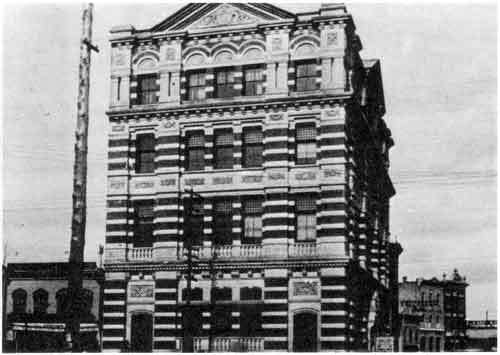 This building, distinguished by alternating bands of grey stone and brick, still stands today. However, the post office moved from this location to a new building between Fort and Garry streets on Portage Avenue in 1908. This structure, Winnipeg’s sixth post office, built in the French Renaissance style and faced with dark heavily accented stone served the city for half a century. The clatter of hooves on the downtown streets of Winnipeg was heard on the morning of June 6th, 1958 as a Wells-Fargo stage coach pulled up to the entrance of the city’s new $11,500,000 post office. Descending from the stage coach were the Post-Master General, the Honourable William Hamilton; Postmaster G. A. Foord; Dr. Murray Campbell, President of the Manitoba Historical Society; and G. E. Mayne, vice president of the C.P.R. Winnipeg’s seventh post office faced with light coloured brick and tyndall stone occupies a whole city block bounded by Garry and Smith streets and Graham and St. Mary’s avenues. This massive complex, frequently updated with the latest in modern equipment, continues to perform the service begun in William Ross’s log home in 1855.